In 1956 my father had done his national service at BKYC and recently I discovered a photo album he had made of that time. It was remarkable to see how the essence of the place remained in tack. 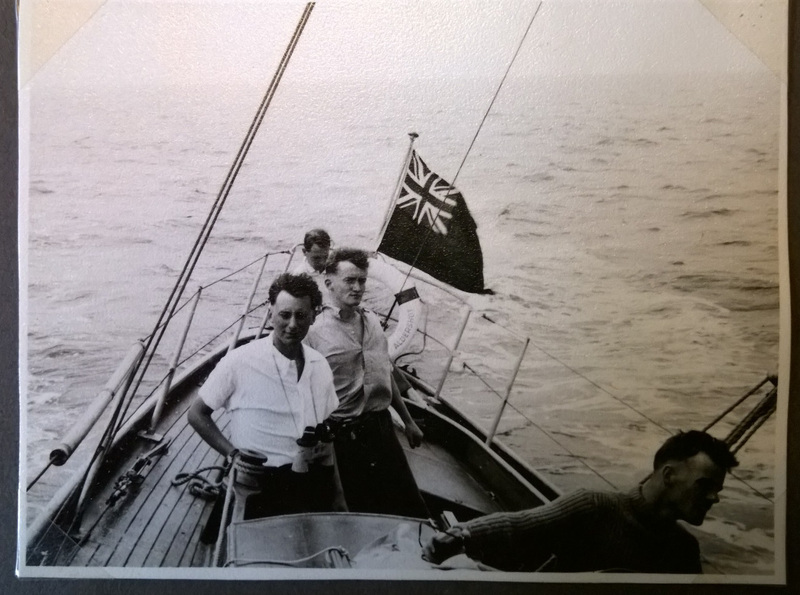 He died in 1990 – by then I had sailed several times in Kiel whilst I was stationed in Germany but it was only after he had died did I pass my Baltic Yachtmaster which allowed me to skipper the windfall yachts. 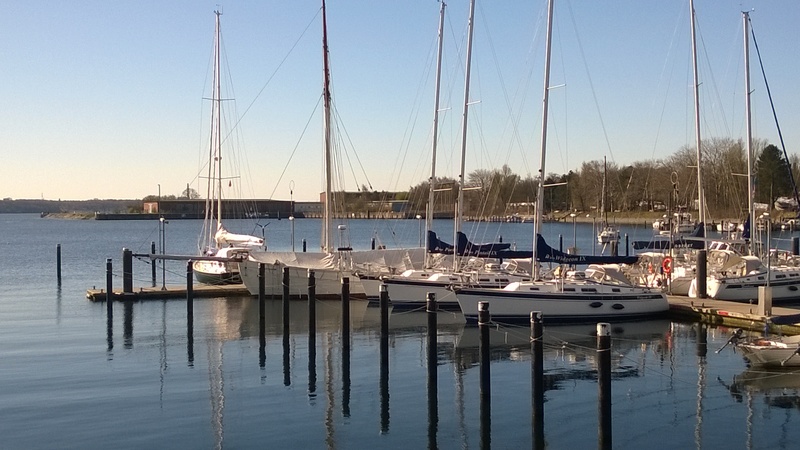 Boats that he had sailed on many times – it was always a huge regret that I wasn’t able to share it with him. But somehow I felt he knew and I have always felt very close to him at Kiel knowing that he had spent so much time there – so it felt only right that we should bring Carra there. Next year BKYC closes so it was a sad farewell as we cast off our lines as it would be the last time I would visit. 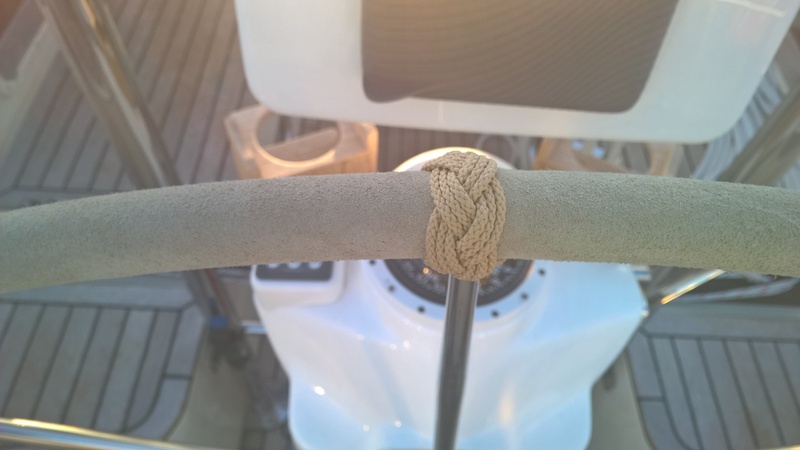 It was a beautiful day with a gentle breeze and we exited the box mooring perfectly. I know he would have be proud of us. 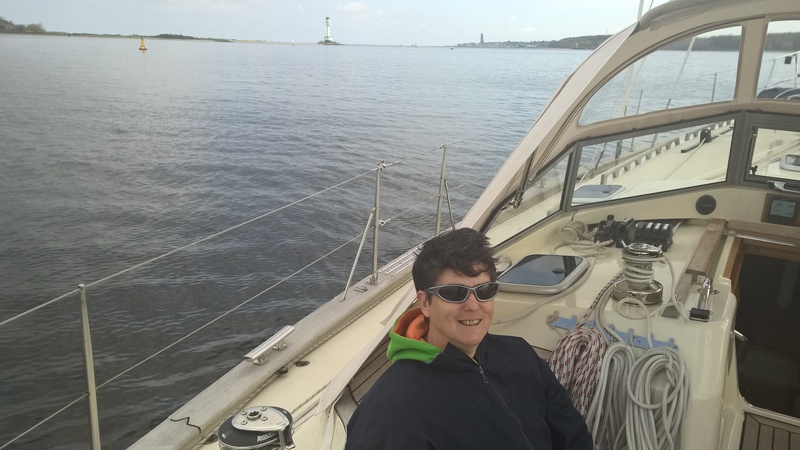 Determined to sail out – I tweeked the sails to eek out an additional 0.1 knot as we sailed past the familiar Freddie’s light and the Kiel U Boat memorial. But as Mags pointed out that 1.5 knots wasn’t going to get us to Fehmarn (some 40 miles away) any time soon. So on went the engine and we motored for the next 9 hours. We needed to leave her in Fehmarn for 2 weeks and Mags had arranged that we could. Prior to arrival we phoned to check what berth we should go to and he appeared to be suffering from amnesia and said we couldn’t stay. Mags then “phoned a friend” – more importantly one who spoke German – and managed to jog his memory and a berth was allocated. So far so good…. until we arrived and realized it was only suitable for a boat half our size. 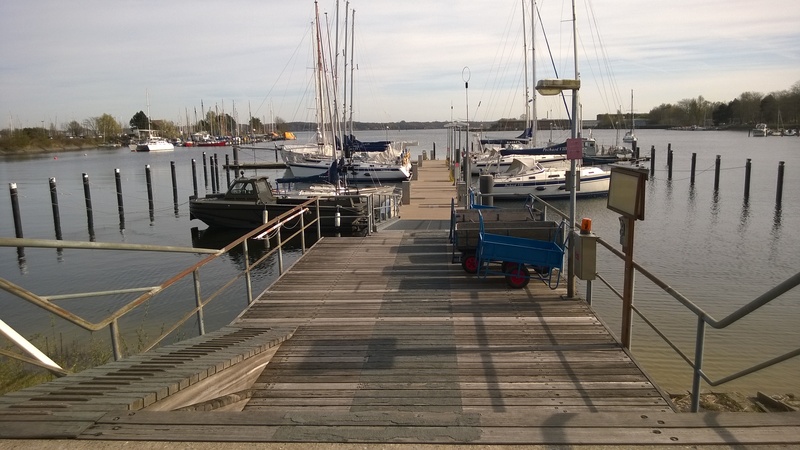 Thankfully there is another marina in Fehmarn which had ample space. Parking in the box moorings was more of a challenge with just 2 people on board – you come between 2 posts and lasso the posts and attach the ropes to your stern. You feed them out as Mags rushes to the front of the boat and leaps off. Well that is the theory suffice to say more practice it needed to look like a local. We secured the boat as there was a storm expected the next day, a quick clean up and we were off back to Helsinki… work does get in the way. 1st May We awoke to a glorious morning, though there was a nip in the air. We were planning to have a lazy day just pottering doing boat jobs as we weren’t going to leave that day. After about 8 attempts, 3 videos, I managed to tie a turks head on the wheel. Admittedly I had to tie the simpler version as the more complicated one defeated me. Lunch in the cockpit followed by a walk around the bay. Several boats came back and the pontoon was soon a hive of activity and I was reminded that before I sailed on non Army boats I didn’t realise boats had heating or furling jibs! Drink and snacks in the cockpit rounded off a perfect day. 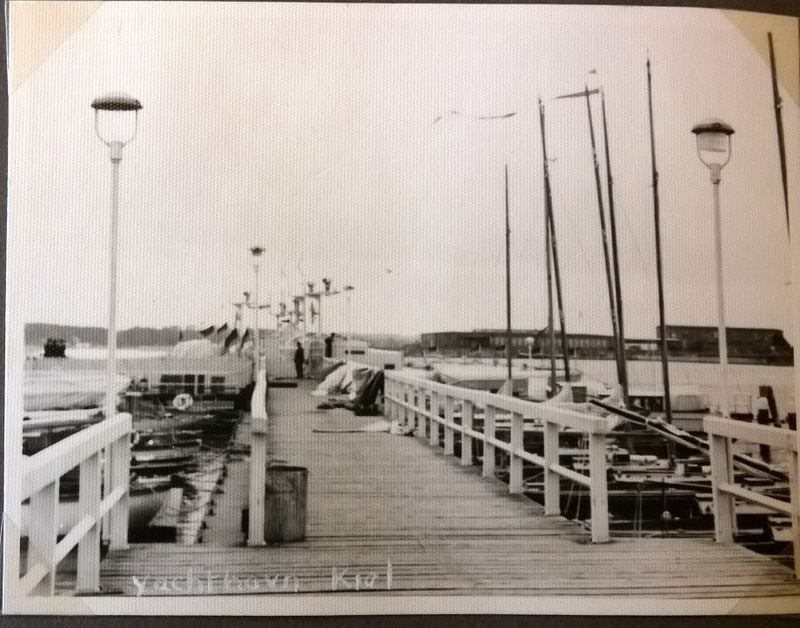 After a day at work, I flew in to Hamburg and with the German efficiency of an integrated transport system soon found myself walking down memory lane as I stepped through the gates of the British Kiel Yacht Club. Just behind Carra sat Flamingo, a beautiful sleek wooden windfall yacht – with a very fine bow and her wood work gleaming having just emerged from the shed that day. The windfall yachts were requisitioned after the war and originally there had been 4 – but now only Flamingo remained. I had last sailed on her in 1992 when I passed my Baltic Yachtmaster. 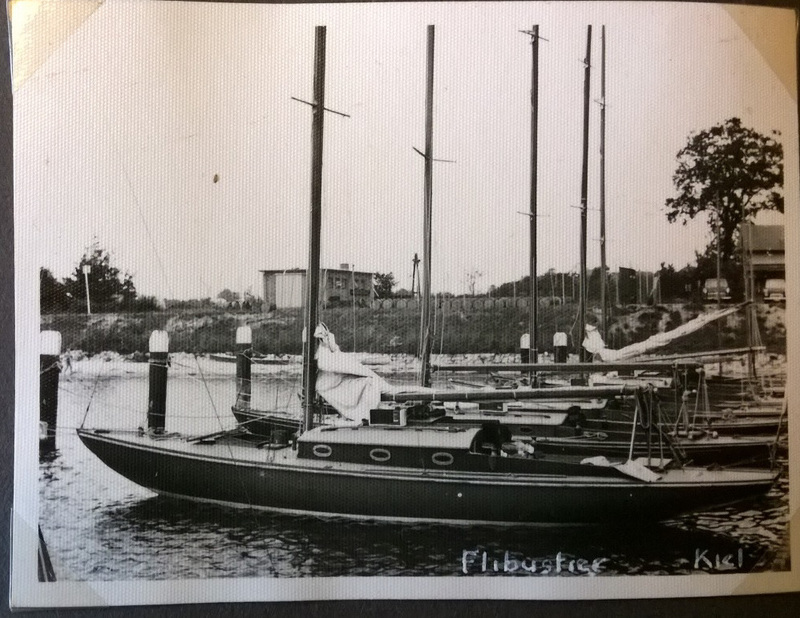 With very little reverse, and arrow like lines she took 100m to stop – so maneuvering round ports and parking in the box mooring was always interesting. It was great to be back on the boat. 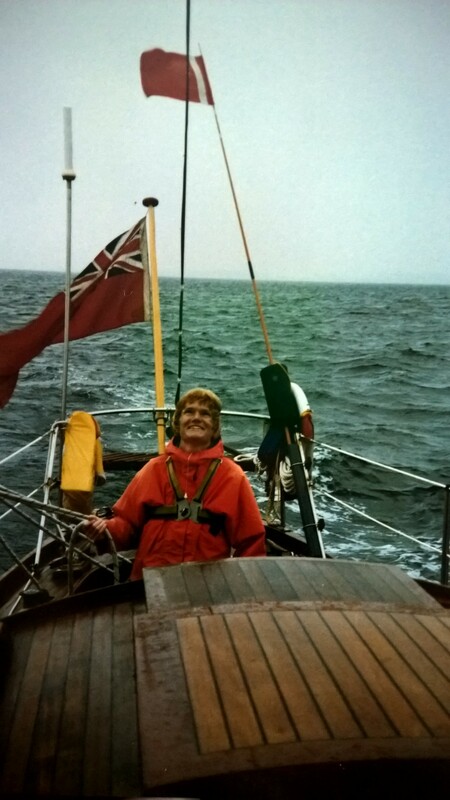 Mags had been getting the boat ready – so we had plenty of food on board – Mags is always worried that she might not be able to feed 10 extra people for a week – so lack of food is never an issue! The engine box had been polished to within an inch of its life, so if we had a repeat of leak from behind the impellor it would be obvious. Over the last few weeks both of us had been getting very intimate with the lazerette locker – due to a leak we had round the rudder post. The boat had been lifted just prior to Peter and Chris setting off from Falmouth to rebed the rudder housing. Which solved that leak – but Mags had returned to find more water in the locker. This turned out to be a lack of grease in the tube and so water had wicked up…. Finally we have a dry locker.